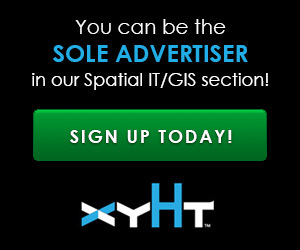 Moving your GIS to 3D is a daunting task. Not only are there all the vertical issues to take into account, but also a whole new world of jargon, which can, at times, be quite overwhelming. In this post you’ll find a few of the data formats that are most commonly used. No, these aren’t an awesome punctuation weather dictator, and unless you are using some Kenneth Field colour ramp, you are unlikely to see a rainbow. Point clouds are point data that are vertically enabled (commonly called “z- enabled”). Typically, when using point clouds within GIS, one would be referring to lidar, multibeam or xyz data whereby there may be multiple points sitting on the same vertical as well as horizontal plane. Within 2D GIS, point clouds are used as a “heighted raster” where each cell would have the value of the height. The value of using this form of data within a 3D GIS is that the data can be geographically represented in a 3D space so that the information can be viewed rapidly and alongside other risks and issues. In the geospatial world, a mesh refers to a 3D image overlay. They’re similar to a TIN; you will have commonly seen these within Google Earth, those buildings that have the uncanny valley effect: they are just a little bit wobbly and the trees appear to be all fused together, but it gives a really nice 3D effect (from a distance). That is a mesh. Normally these meshes are derived from point clouds, or they can be generated from georeferenced imagery in software like Pix4D. Popular in gaming, meshes are starting to appear in GIS thanks to software like Google Earth and Cesium. This form of data takes the standard 2D topographic data and then “extrudes” it vertically, making it appear like a solid 3D object. This technique is popular for generating mass buildings or creating 3D background information for visualisation. The method is popular due to it being so easy to achieve with the 2D data, which is already used within the software. The only further requirement is a height (to extrude the footprint/data to). Although this data doesn’t incorporate vast amount of detail, such as windows, roofs, and chimneys on buildings, for example, it does provide a much more accurate visibility analysis and 3D skyline analysis. The UK’s national mapping agency, the Ordnance Survey, provides its definitive (1:1250) data product, OS Mastermap, in this format and so do some of Open Streetmap as well as GeoInformation Group. The multipatch, according to Esri, was developed by them in 1997. While I let many learned people fight over that statement, the most popular example of a multipatch is the 3D Buildings found in Google Earth (an example is at the very top of this article) or the kmz models which are generated from Google SketchUp. Multipatches are a type of geometry consisting of planar three-dimensional rings and triangles, used in combination to model objects that occupy a discrete area or volume in three-dimensional space. Unlike the “polygon Z,” the multipatch can be complex and have multiple smaller parts to make the whole so are frequently used for representing trees, buildings and street furniture. Due to breakthroughs in quadtree, octree and other rendering techniques, the multipatch has gained popularity as massive models comprising of entire cities can be created and presented through the web.